She is the "Fiero" in IvaFiero Productions; curators of Relentless entertainment since 2012. 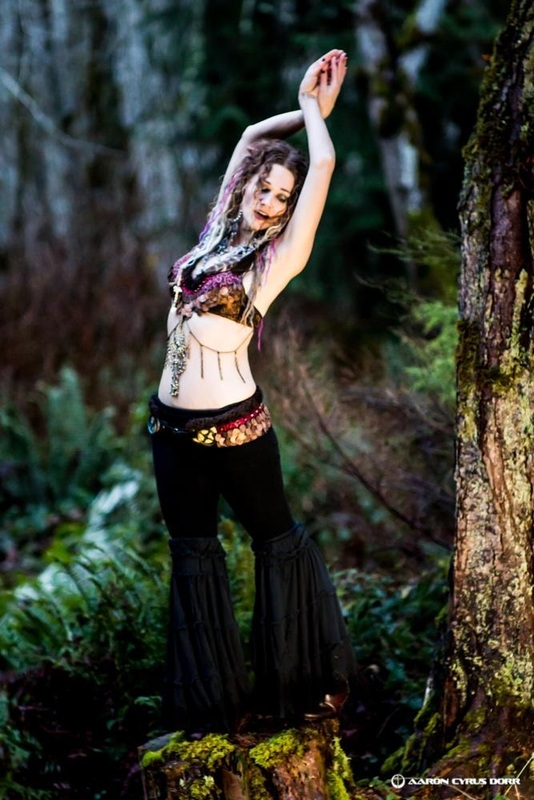 Nyp Leigh has been wowing burlesque audiences of the Olympic Peninsula and beyond since 2009. Her inventive acts often include poignant social messages, sometimes have creative inventions and always have duct tape somewhere in their composition. You may have seen her or her alter ego, anami, in a variety of circus and fire performances around town. Perhaps you have even had your fortune read portable tarot parlor that magically appears downtown in the summer. Now you can get your motor running with her LIVE online pinup show Dirty Girl Repair .com every Monday evening at 6PM. This seductive siren spends her time near the shores of the Salish sea looking for hapless sailors and fisherman to lure back to her lair with promises of fulfilling their every fantasy but Be warned gentlemen, this damsel's distress call is an illusion that you won't ever recover from. Aleksandra is the Mistress of Fusion! She is the Burlesque monthly show producer at The Castle, dance instructor, and diverse performer of over 8 yrs; performing in 9 states, 47 different venues, and over a hundred performances coast to coast. With a dance background in belly dance, modern, hip hop, and burlesque, Aleksandra brings her Slavic swoon and high energy everytime she hits the stage!